The next meeting of the City Diners will take place on Friday 26th April at the George Inn at Southwark. Cost will be £37 including wine. We will be dining at 1pm so gather for a re-luncheon glass or two from noon. Menu and further details will be announced in the next week or so. The walk will be between 4 and 5 miles, it is flat and of course it is very easy to drop out of a City walk at any time. John will research an appropriate place for lunch – if possible one of the churches who can provide a soup/sandwich/cake/drink sort of lunch. 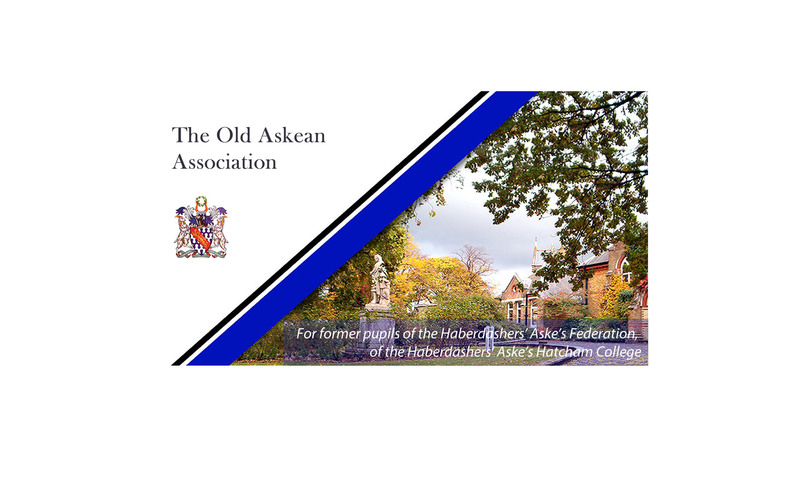 The Old Askean Association Annual Lunch will be held at the RAF club on Thursday 2nd May 2019. Time 12 noon for 1:00pm. Tickets £46 excluding wine. Further details will be announced when they are received. In past years this has been a church service at 11:30 followed by a buffet lunch in the lower school site (formerly the Girls School).